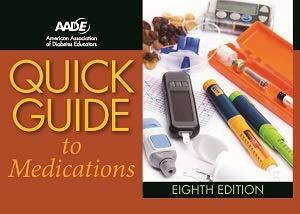 American Association of Diabetes Educators Quick Guide to Medications Course - Becky Dorner & Associates, Inc. 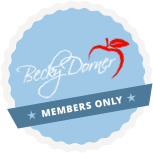 This Continuing Professional Education (CPE) self-study course combines material from the Becky Dorner & Associates 2019 Diet and Nutrition Care Manual and the American Association of Diabetes Educators Quick Guide to Medications, 8th edition. The combined program delivers in-depth information on clinical nutrition care and medications for diabetes management. The general overview includes: diagnosis of diabetes, goals of medical nutrition therapy, menu planning for diabetes, and physical activity for individuals with diabetes. The quick guide includes an in-depth review of the medications used to treat diabetes and its comorbidities (blood pressure control, cholesterol management, and weight management) as well as a discussion of complementary and alternative medicines that might be used by patients. The CPE examination includes case studies to help the learner apply the information to clinical management of diabetes. Already have the book? Under “Product Options”, simply choose “Additional Certificate” to purchase the CPE self-study program. Identify the criteria used to diagnose diabetes and prediabetes. Describe goals of medical nutrition therapy and lifestyle management of diabetes in adults. Distinguish between categories of oral glucose-lowering agents. Distinguish between types of insulin preparations. Demonstrate when and how to use glucose-lowering medications and insulin appropriately. Categorize medications used to treat comorbidities of diabetes (high blood pressure, high blood cholesterol and obesity). Assess and provide input on nutrition care and medication and/or insulin treatment options for individuals with diabetes. This course is intended for: RDNs, NDTRs, CDEs. 10.2.9 In collaboration with the client and interdisciplinary team (including NDTRs), selects and implements current and evidence-based nutrition interventions and patient education. 10.4.1 Applies knowledge of pharmacotherapy and its effect on nutrient absorption, utilization and metabolism when developing and/or revising the plan of care.